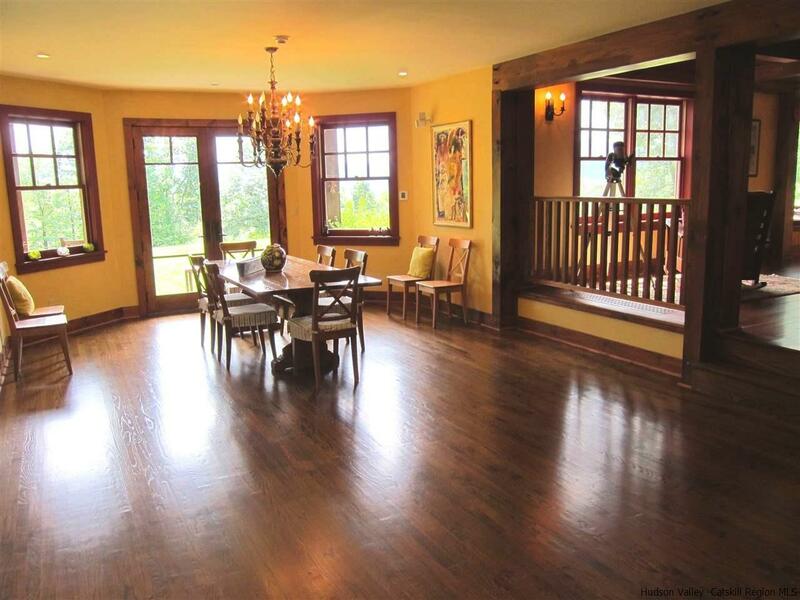 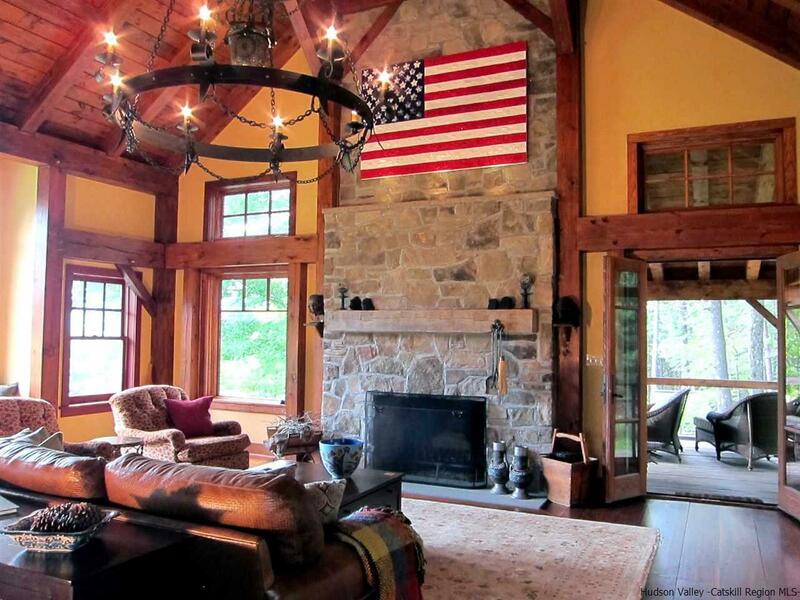 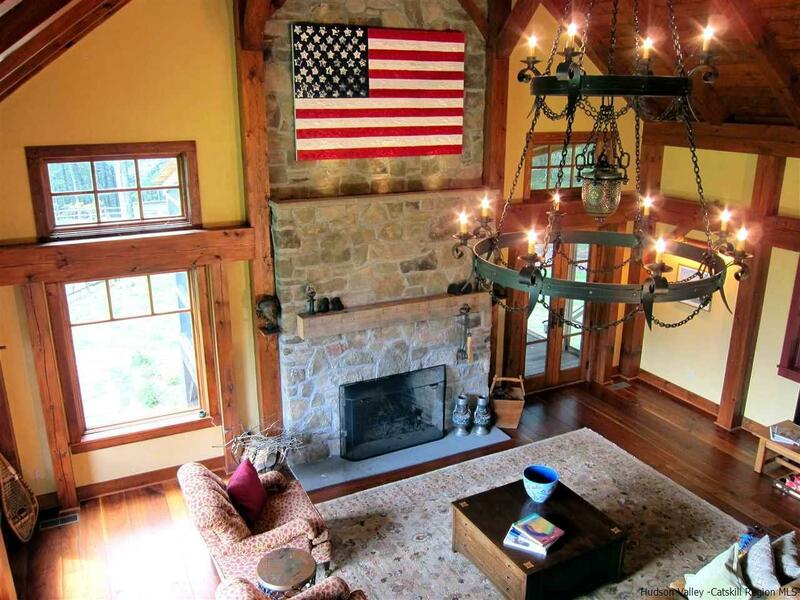 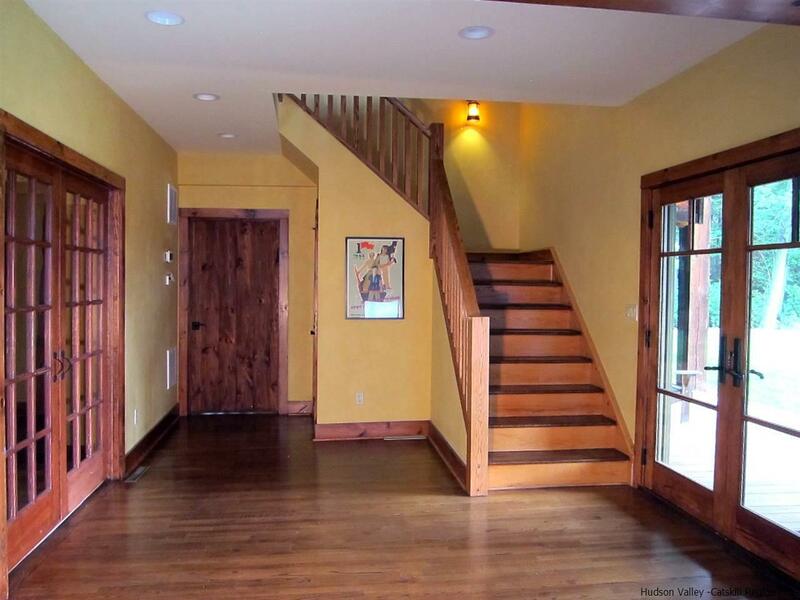 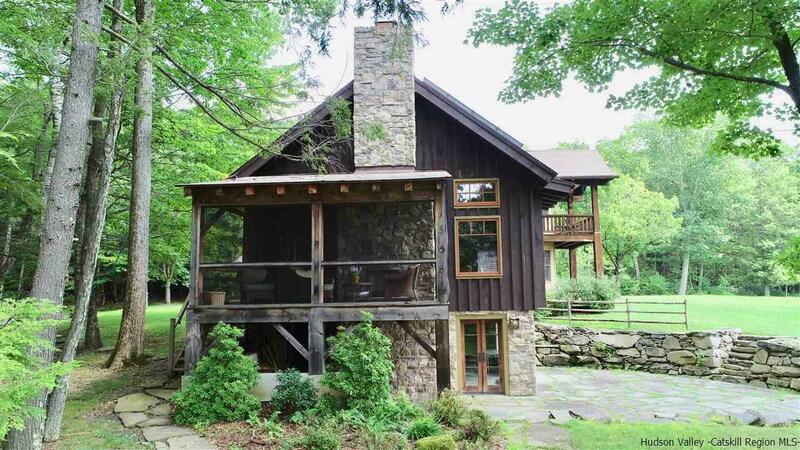 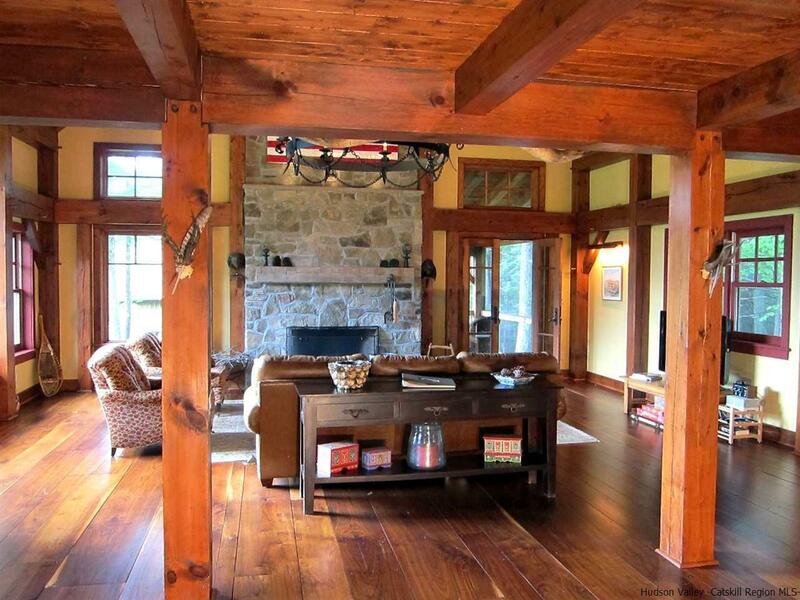 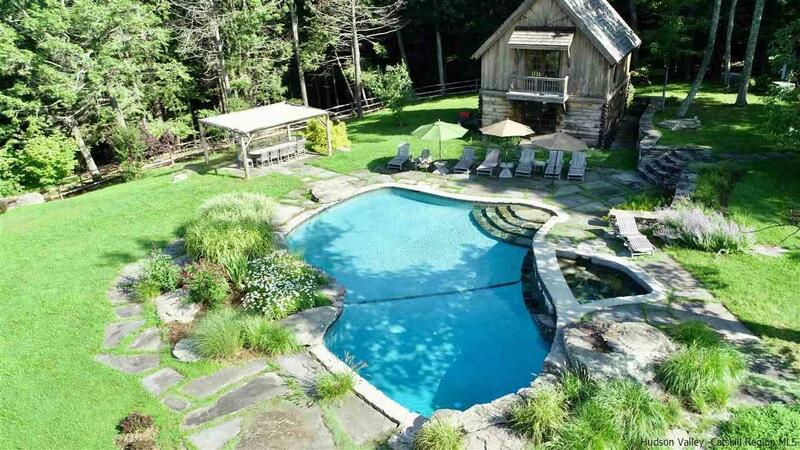 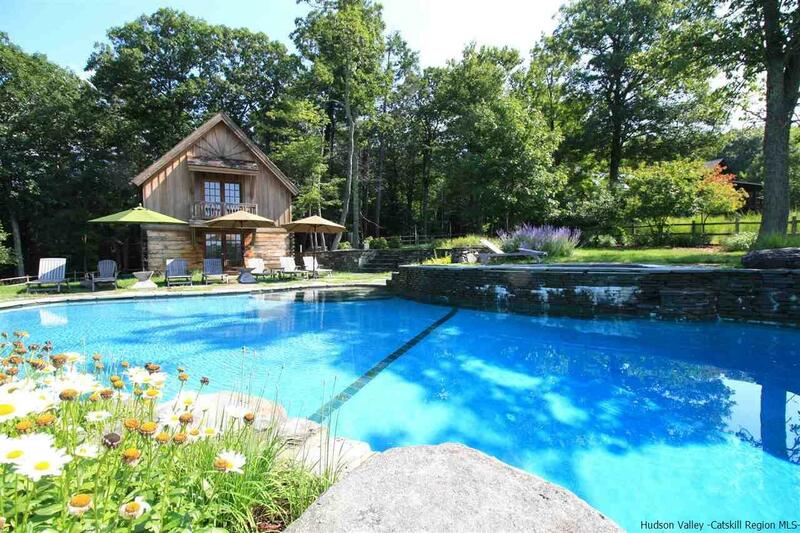 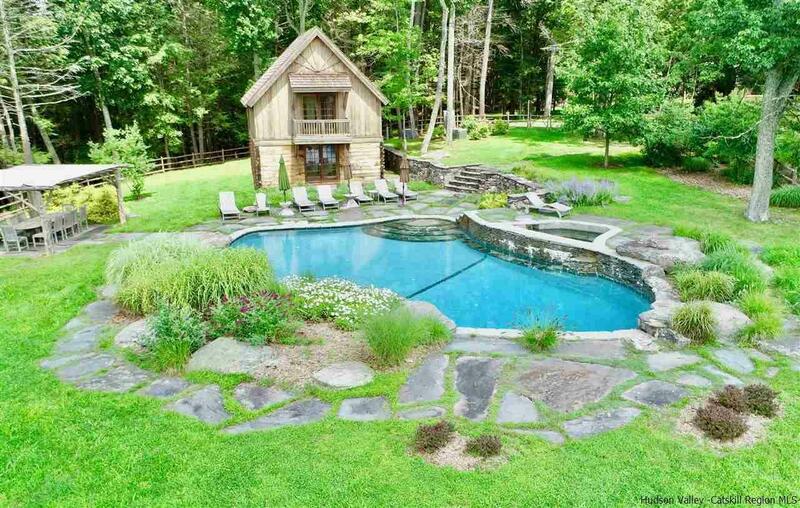 In a class by itself, with sensational Catskill Mountain range views, this magnificent custom over 4,300 sq ft timber frame Adirondack style home, with guest house and pool, enjoys complete privacy at the end of a rustic mountain road on 16 acres surrounded by protected forest just 15 minutes from the centers of Woodstock and Phoenicia. 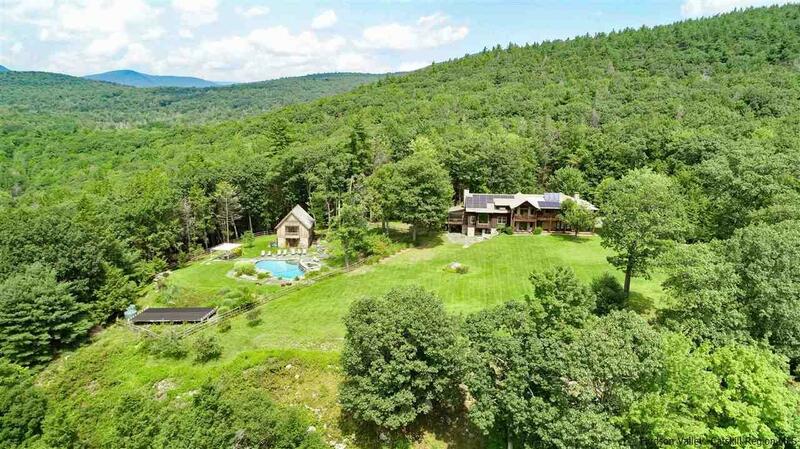 Outfitted with robust, modern, eco-friendly solar systems and technology, the 4-bedroom, 3.5 bathroom main house features a wraparound porch and balcony, an open floor plan with oak and black walnut floors, rough Tuscan plaster walls, wood beams and French doors throughout. 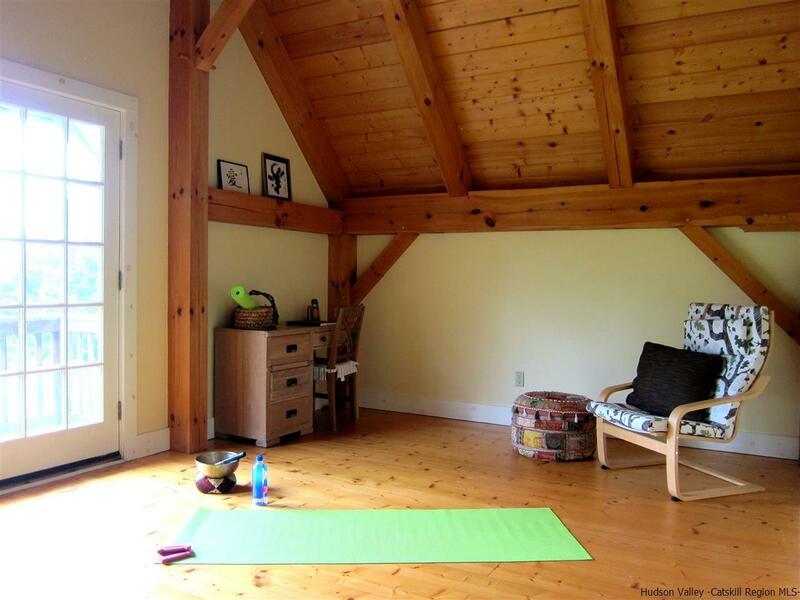 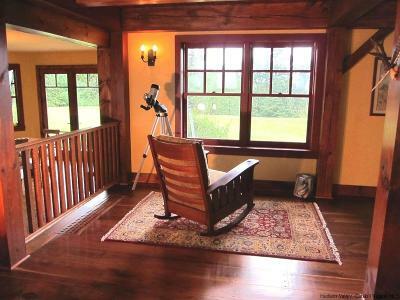 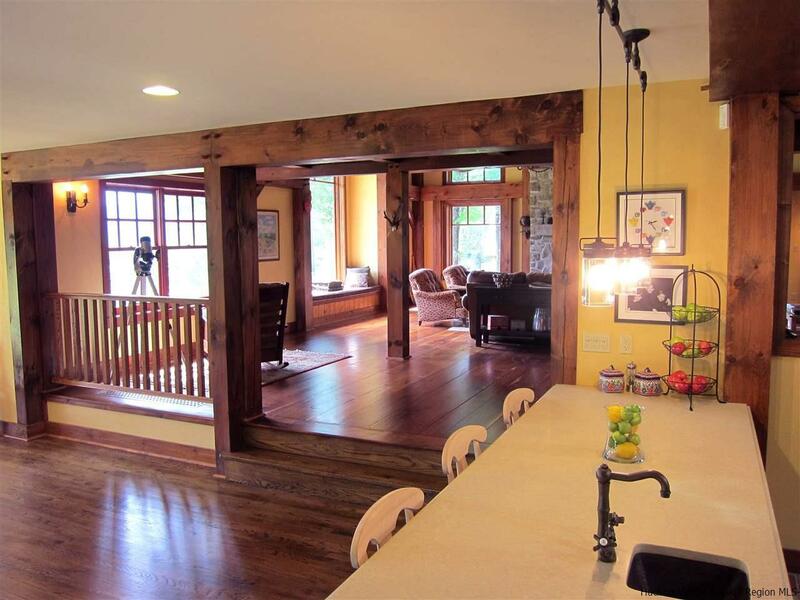 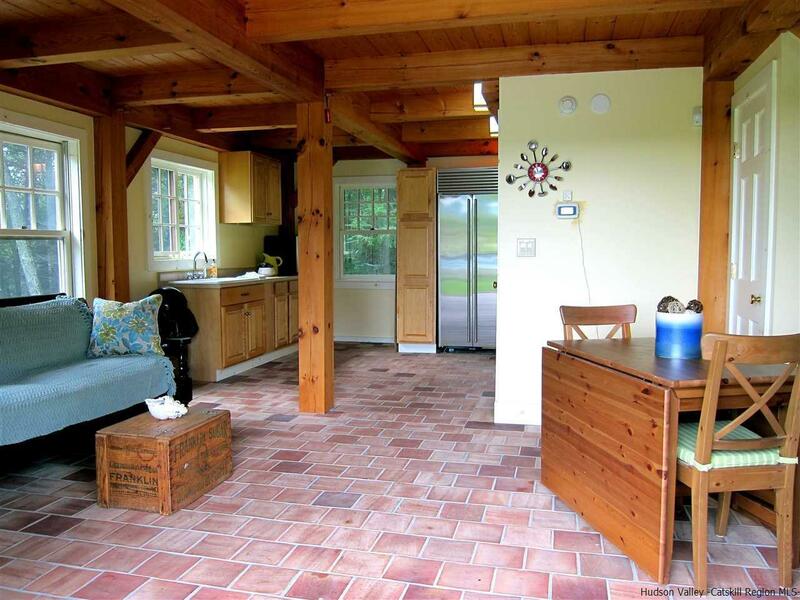 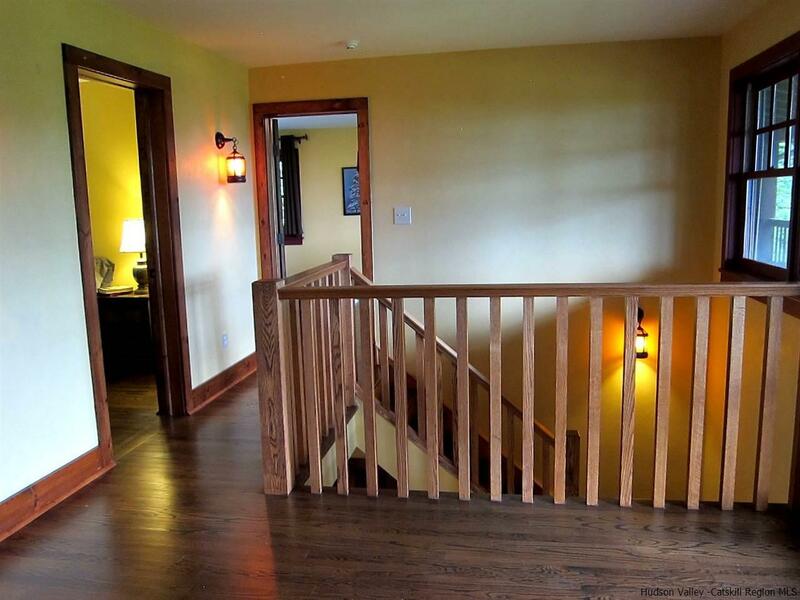 The spacious Timberpeg great room addition with loft balcony, cathedral ceilings and floor to ceiling rough-hewn stone fireplace, opens onto a patio sitting area enclosed by rustic walls cut from the property's stone. 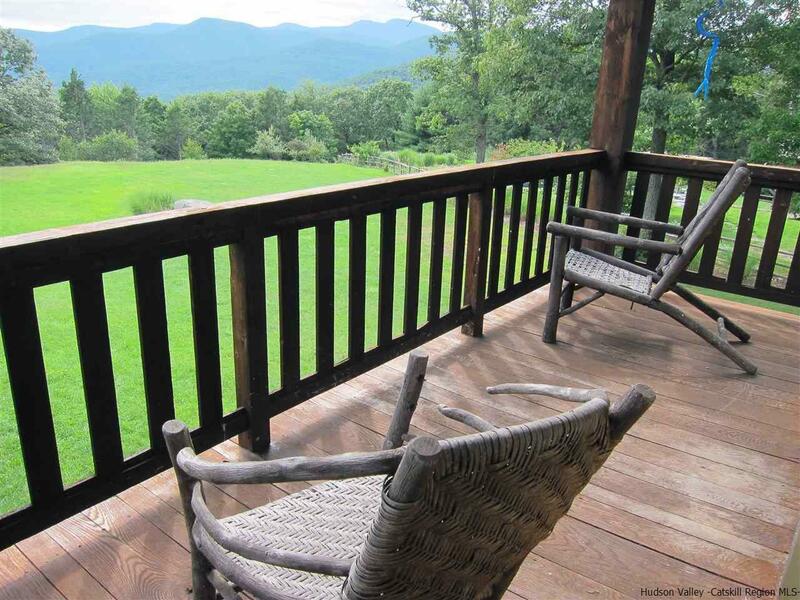 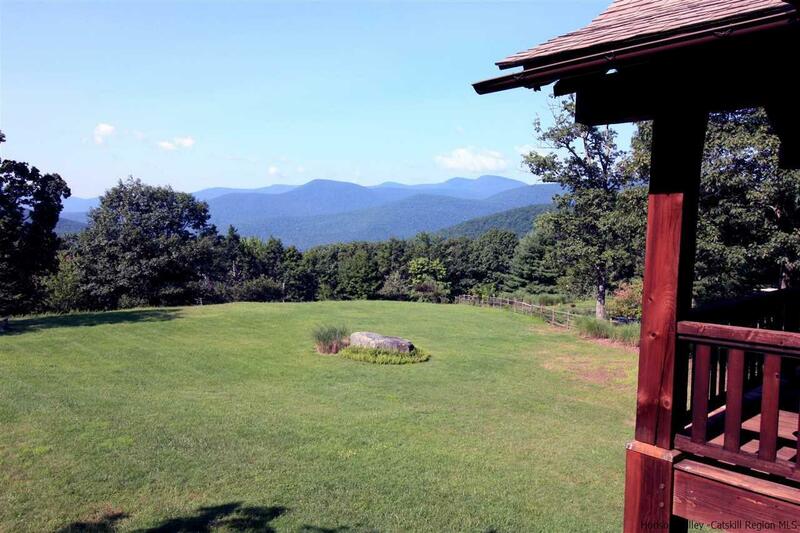 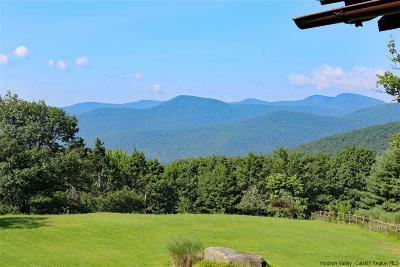 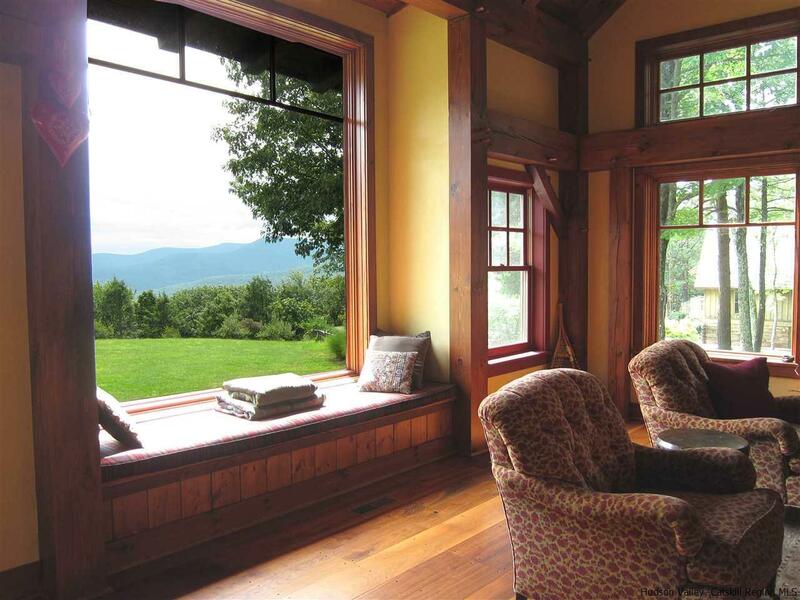 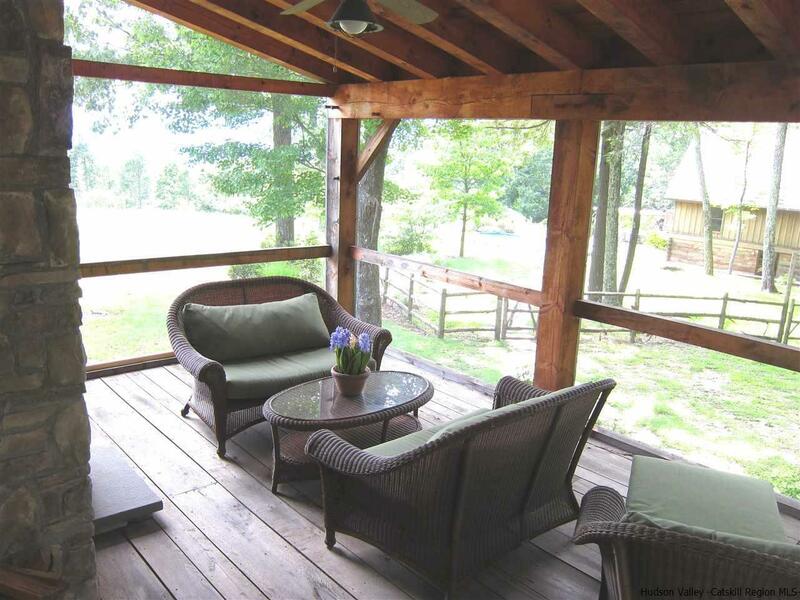 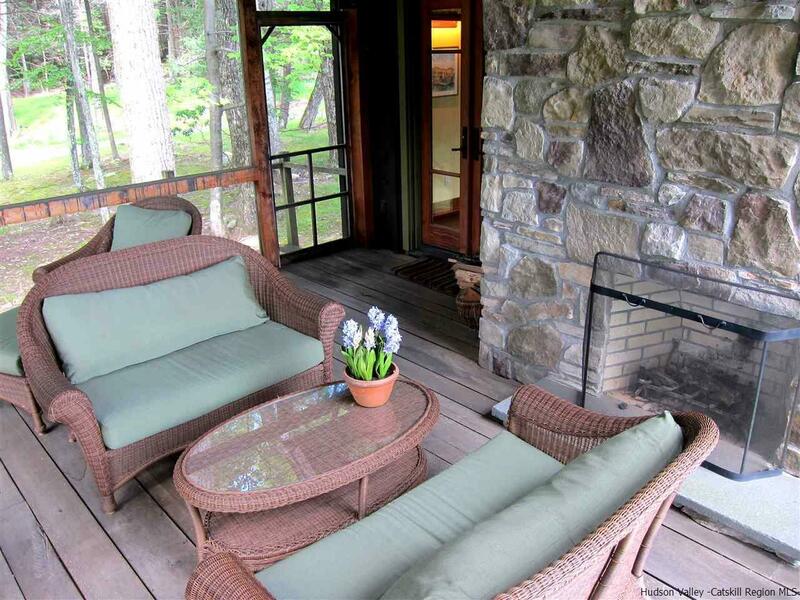 Adjacent to the great room, an exceptional screened porch with fireplace looks over spectacular views of expansive lawns and the Catskill Mountains beyond. 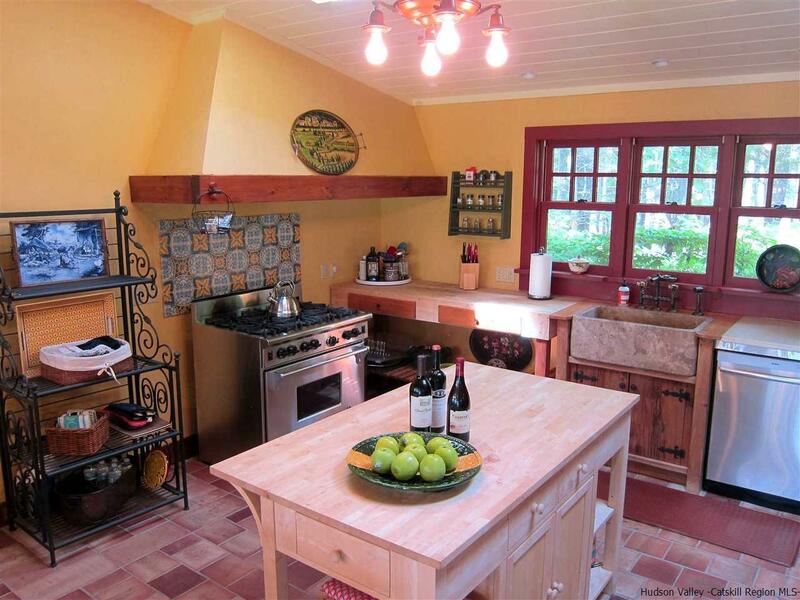 The Tuscan-inspired kitchen has an Italian tile and limestone farm sink, 6-burner Wolf range and custom extractor hood. 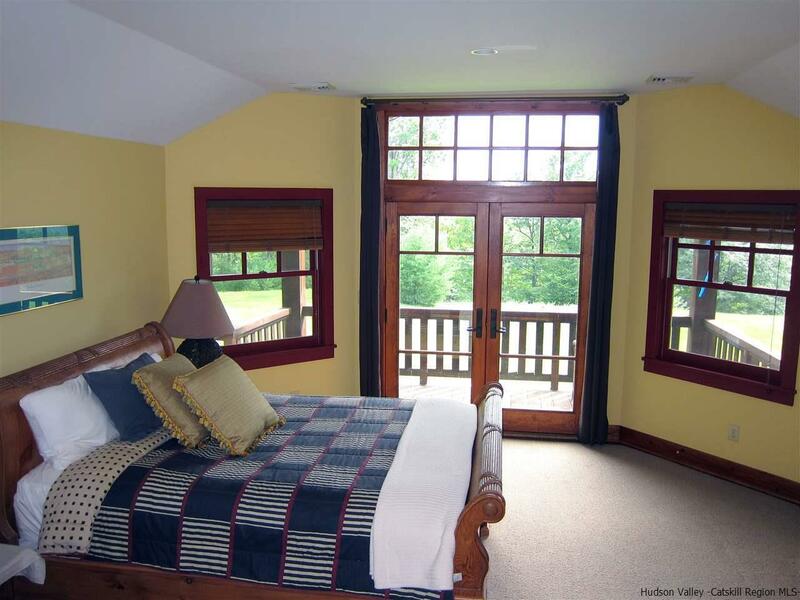 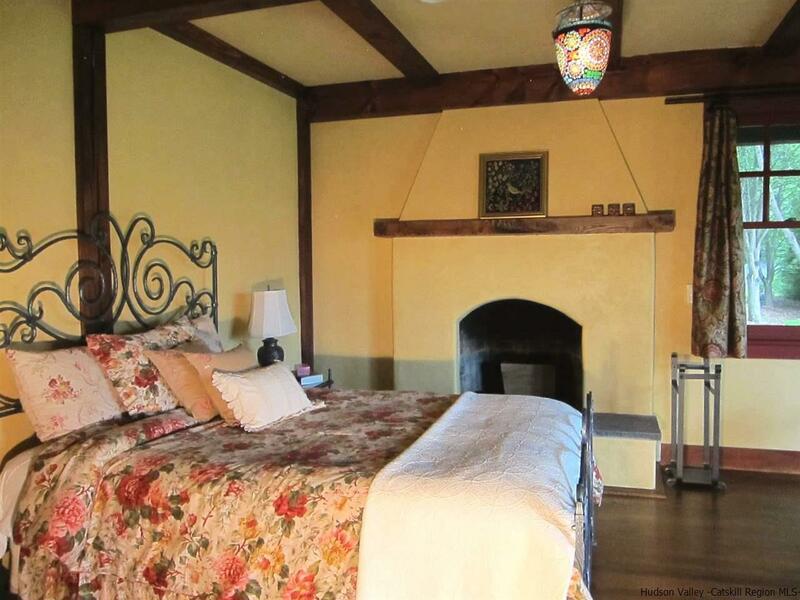 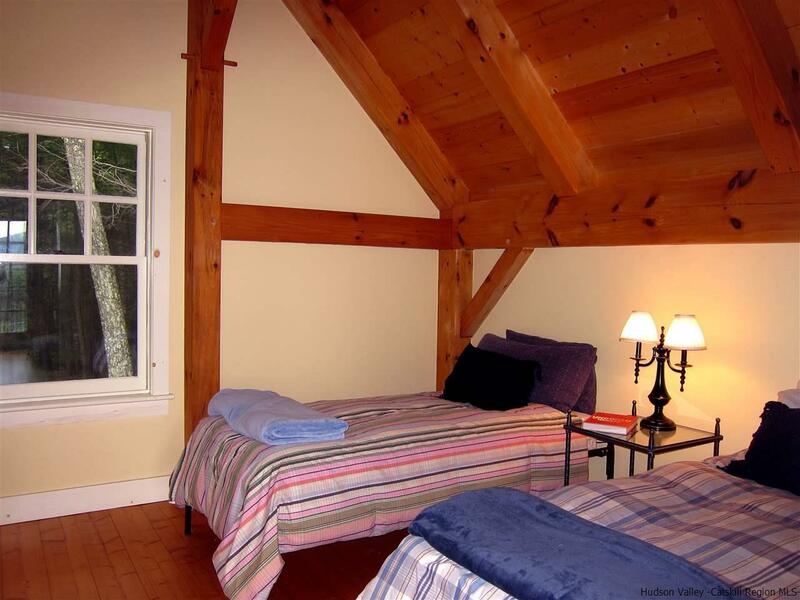 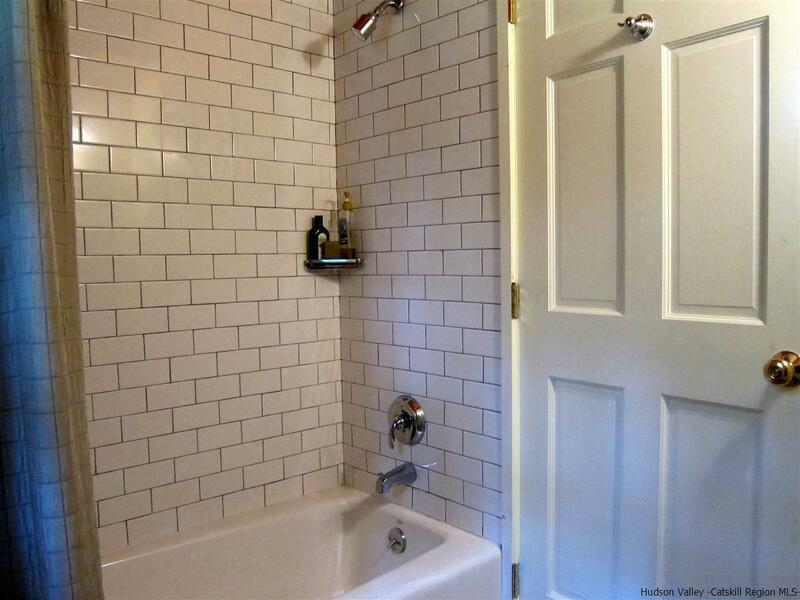 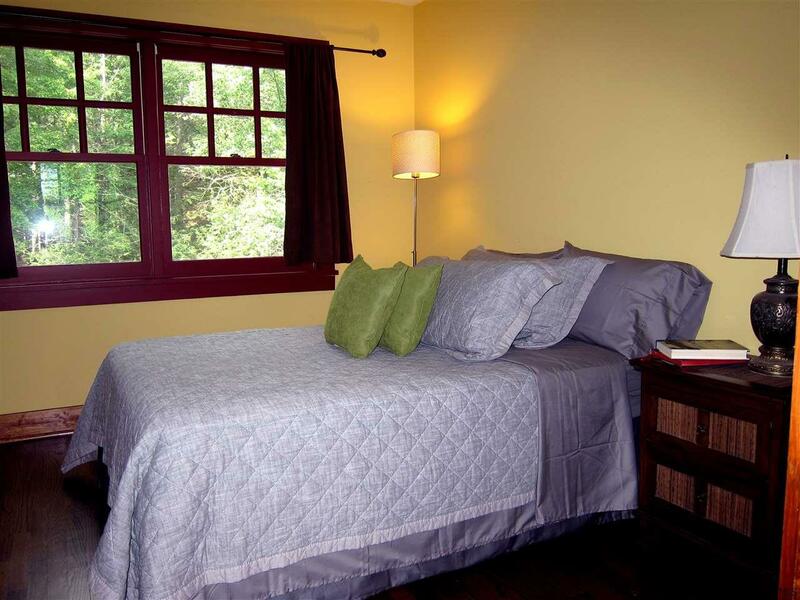 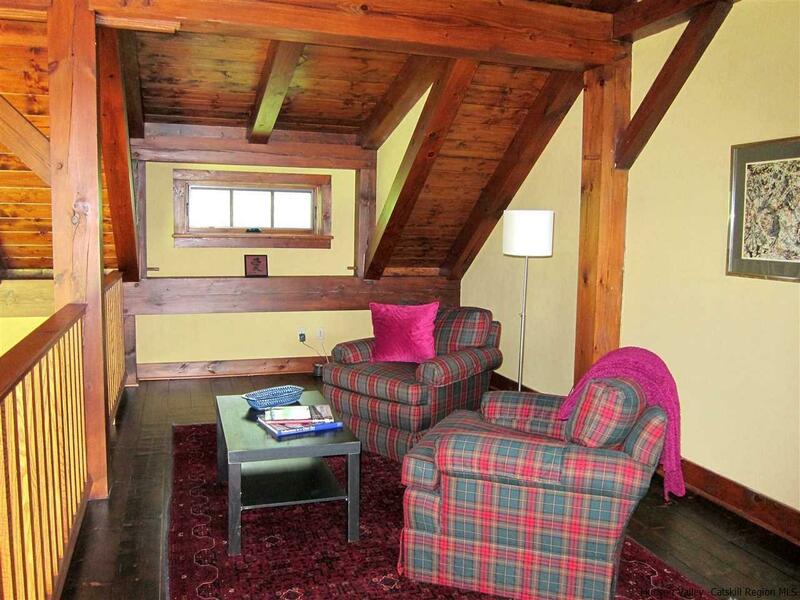 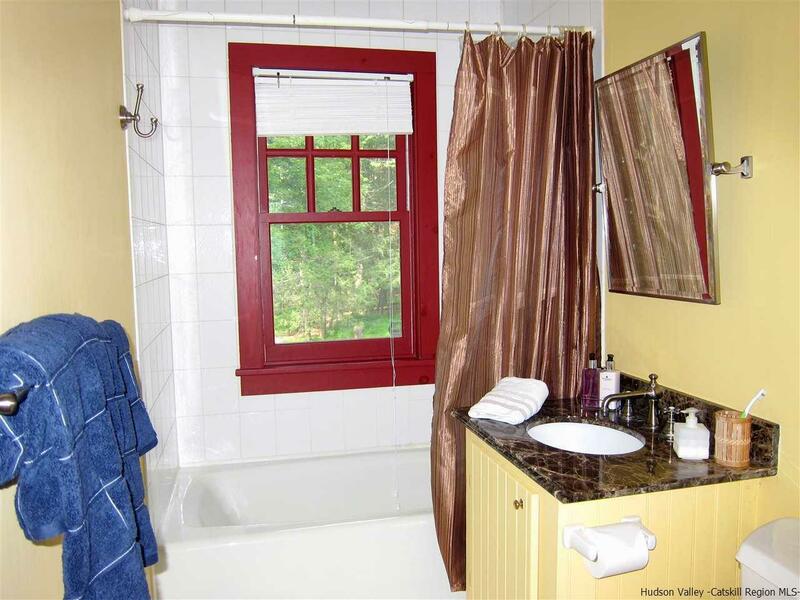 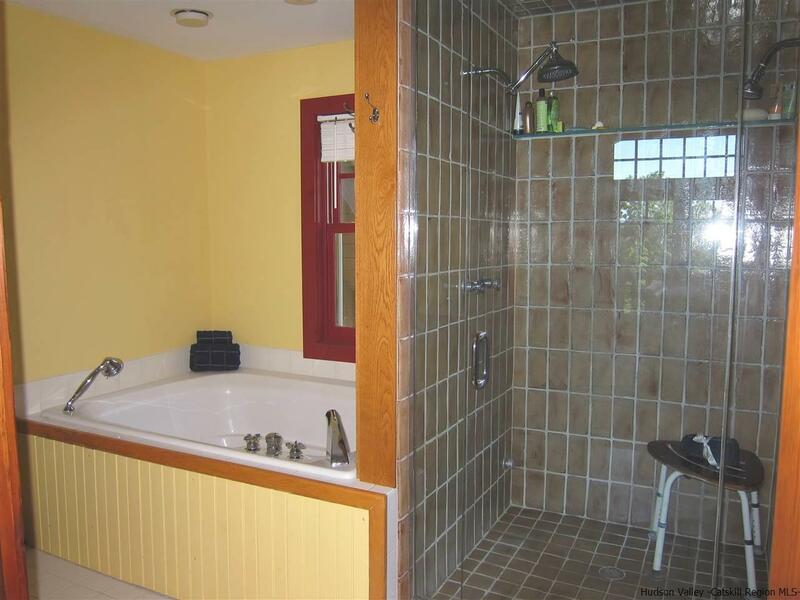 The Master suite features a timbered balcony, steam shower and Jacuzzi tub. Opening onto the porch, a private main floor guest suite shares the outstanding views that define this exclusive property. 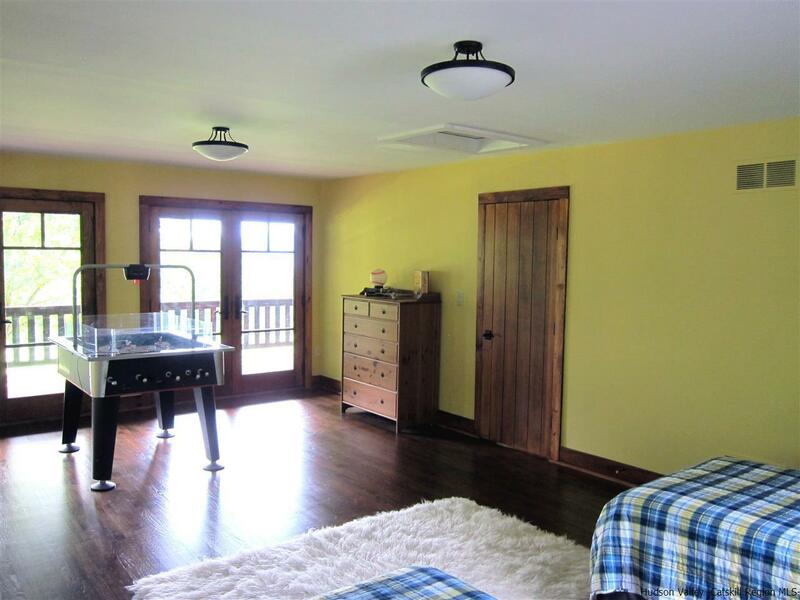 Full basement with radiant floors, and roughed out for 5th bedroom suite/bathroom and game room, provides additional storage. 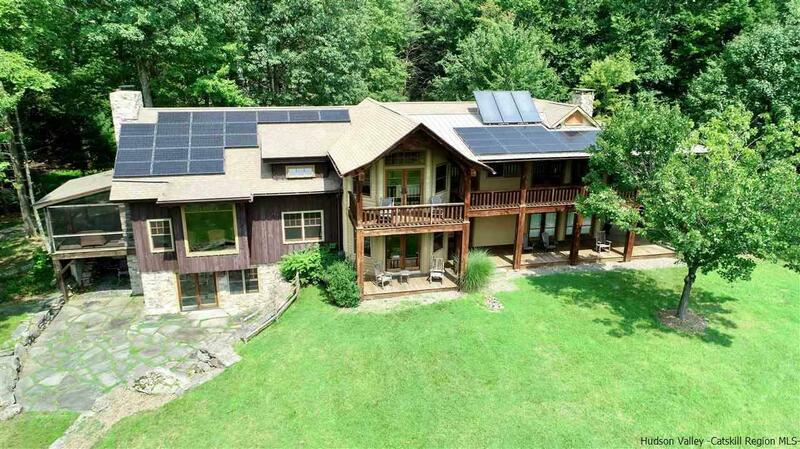 The property also features high-efficiency Buderus boiler, EV car charging port, rooftop solarvoltaic panels, back-up generator, driveway basketball court, 2-car garage, and space for a tennis court. 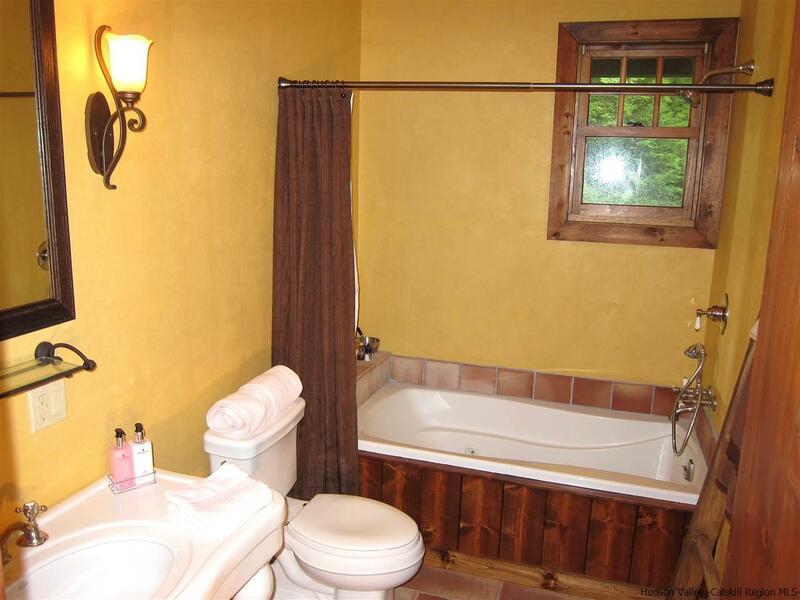 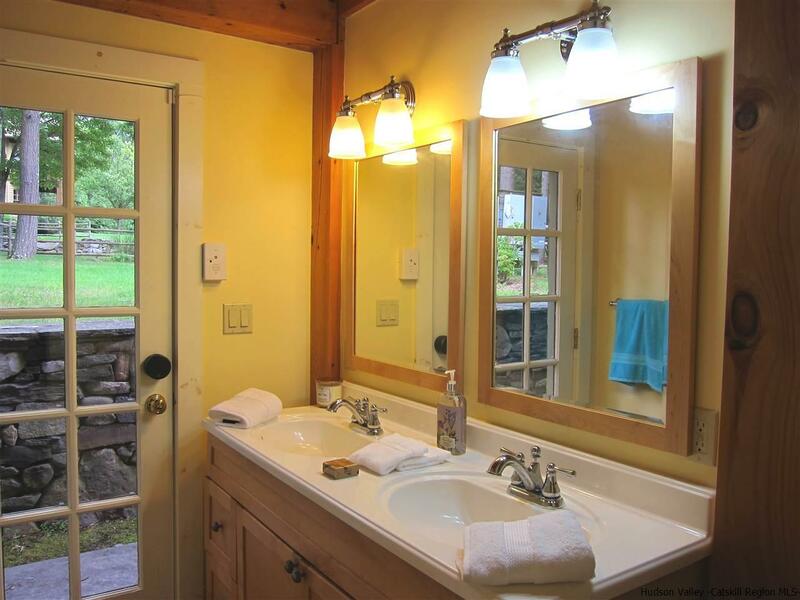 A chalet-style post and beam 2-bedroom, 1-bath guesthouse completes this distinctive estate, with dining and sitting room, kitchenette, a natural form solar-heated pool with propane heat backup, free-form stone patio, spa whirlpool, waterfall, "weeping rock wall", and cedar log pergola. 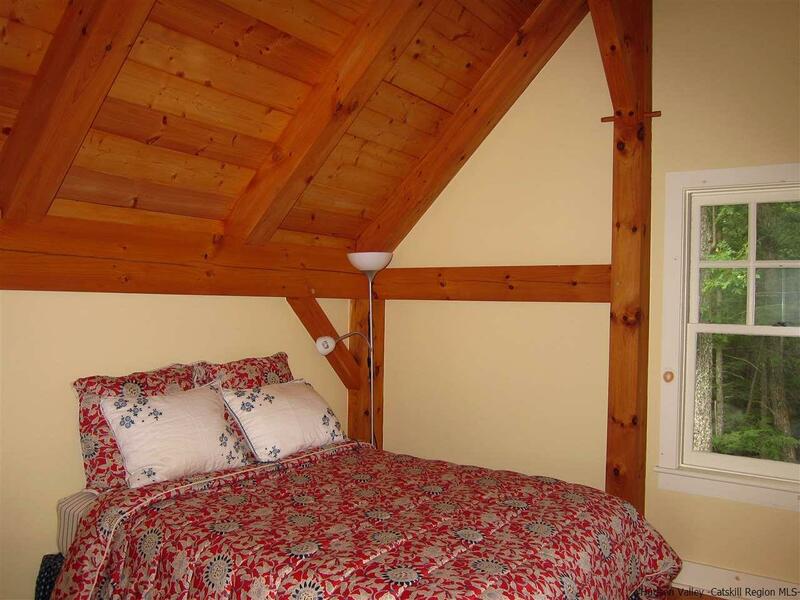 Bedroom 4 Room Size: 20'8"x15'1"
Living Room Room Size: 25'x29'6"